Hi, I recently bought new LG tv, and the CI+ adapter as well. I tuned all available channels I could . Then I tried to manage the list but I'm unable to. Attaching picture of error message. 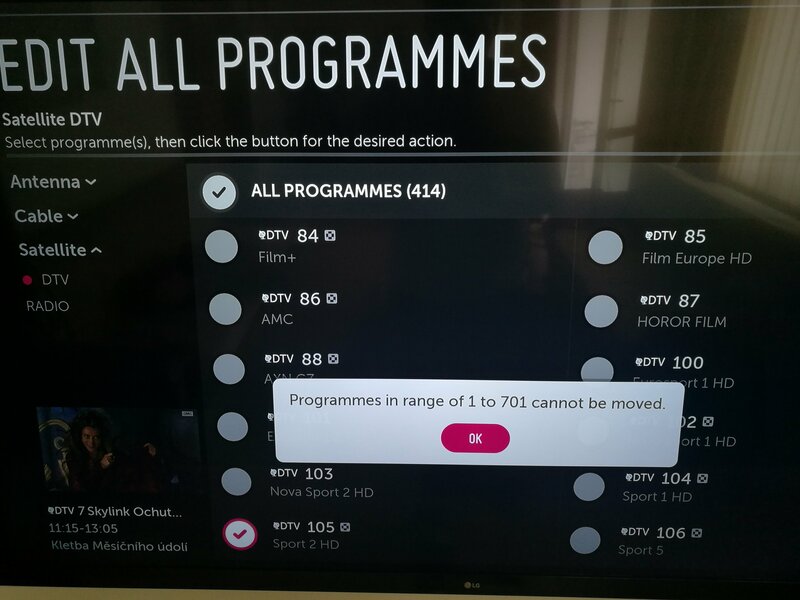 You may try to export channels list to USB, use ChanSort to sort them, and import the list back to TV.